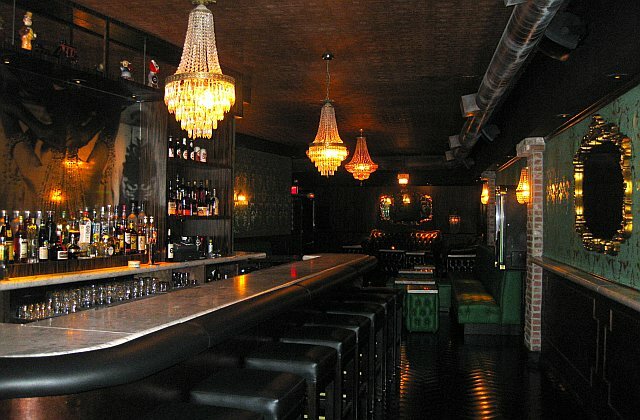 Opening June 17th in the space known in previous incarnations as Red Buddha Lounge, Play, and most recently Madame Royale, The Parlour Room of Hollywood is the latest from Craig Trager’s Vintage Bar Group (El Bar, The Well, No Bar, The Woods, The Fifth). The Parlour Room is meant to stand apart from Hollywood’s velvet rope and bottle service venues and be “a true neighborhood bar, as it was in the days of Goldfinger’s,” said Trager. With that in mind, The Parlour Room doesn’t have a door policy or a strict dress code. The Parlour Room’s warm and inviting ambiance is created with dark woods, antique chandeliers, vintage gold mirrors, and an enclosed back patio with its own bar and fireplace. Other design elements include a 20-foot marble bar and accents such as vintage bourbon bottles and a mirrored photo mural behind the back bar. If the classy, comfortable digs and welcoming attitude don’t bring you back, that $5 martini surely will. For more information, visit www.vintagebargroup.com.